SKU: VBM-250. Categories: Scenarios & Settings, Space. 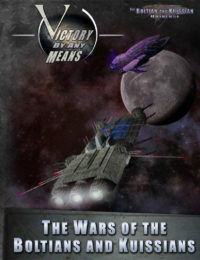 Tags: First Edition, starmada. Mankind reached the stars, and for hundreds of years has lived confident and supreme in the galaxy. 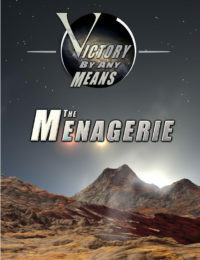 Only one alien race was discovered, and that lone example of intelligence was conquered and enslaved. It was that victory, those acts, which sowed the seeds of mankind’s greatest threat. On the verge of discovering that man was not supreme in the galaxy, humanity turned upon itself. It was an age of idealism. It was an age of elitism. It was an age when man turned against man, confident in his own superiority. It was an age of ignorance… when man strode too proudly amongst the stars. 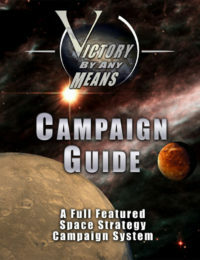 THIS IS NOT A STAND ALONE PRODUCT AND REQUIRES THE VICTORY BY ANY MEANS CAMPAIGN GUIDE (VBM-101) AND VBAM: THE STARMADA EDITION (MJG-0113) TO FULLY USE. 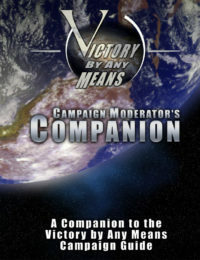 OWNERSHIP OF THE CAMPAIGN MODERATOR’S COMPANION (VBM-105) IS RECOMMENDED. 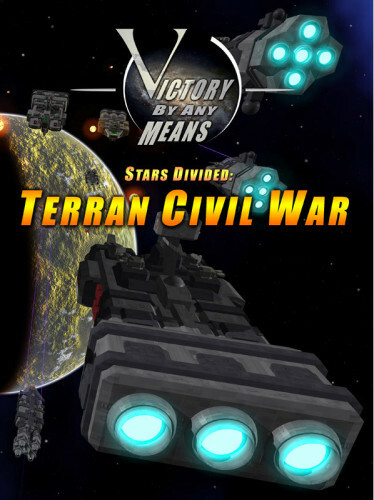 Be the first to review “Stars Divided: Terran Civil War” Click here to cancel reply.